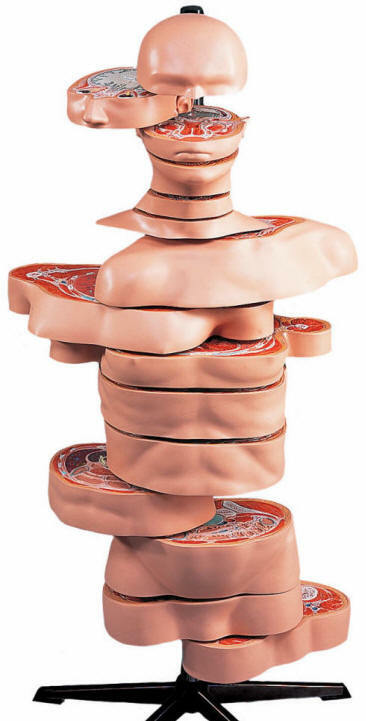 This unique torso is horizontally sectioned into 15 slices. The topographical relationships are represented as colored reliefs on the individual sectional planes. 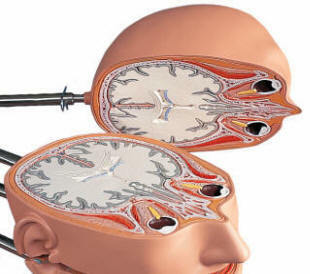 For a closer study, each disc can be shifted horizontally and rotated around its sagittal axis. 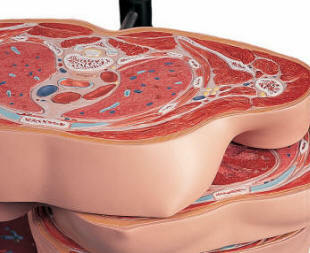 Each disc can also be individually removed.